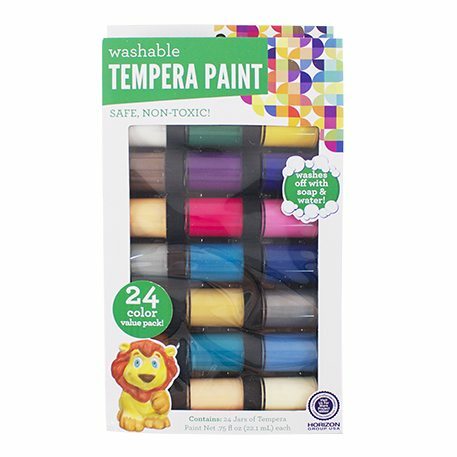 Kids will have fun painting with colorful this washable paints value pack. This 24 pack of paints are great for use in schools or in the home for arts and crafts. The paint is vibrant in color but easily washes off of children’s clothes and other materials.